Manchester United manager, Jose Mourinho says United do not need to prove anything at Anfield on Saturday. Mourinho, however, warned Liverpool that his team are better equipped to win than they were last season. The Red Devils have started their Premier League campaign with six wins and a draw from their first seven games. The Anfield clash has been labelled a test of United’s title credentials, though Mourinho disagrees. “This is press talk, or pundit talk: ‘We have something to prove, [Romelu] Lukaku has to score, we have to win’ [is what they say]. One match, one result, one performance. 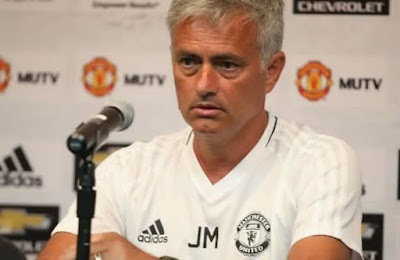 That’s not going to change anything,” Mourinho said. Manchester United left Anfield last season with a point after a goalless draw and Mourinho was accused of using defensive tactics to spoil the game.